Mayor Daley gave a song and dance speech at a rally for Chicago’s Hispanic community May 1, 2007. Many Hispanics marched so they might become American Citizens. I hope Hispanic voters marching in the Parade did not leave their cars parked on 26th street a Chicago Hispanic stronghold. 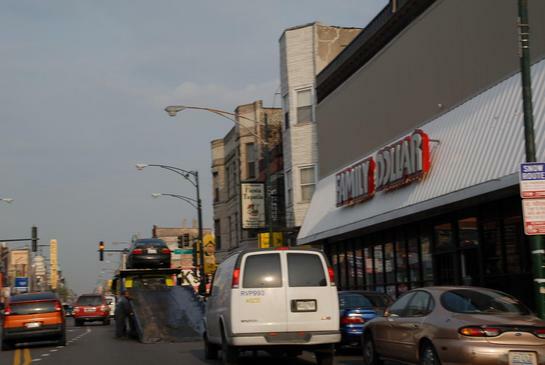 Mayor Daley’s Department of Revenue was booting and towing like a bunch of drunk sailors on leave. People at the parade were told to take the bus. I have written many times the poor receive an unfair share of tickets because the rich neighborhoods do not have cops patrolling and writing tickets for any minor infraction. Photo by Patrick McDonough. Tonight, I enjoyed a fundraiser named “A Tribute to Leadership Reception with Tony”. I was to honor Tony Peraica, an outstanding Commissioner of Cook County. It was at Pescatore 3400 North River Road Franklin Park, Illinois. The event was well attended with high profile types such as Frank Avila. Please make sure to visit Tony Peraica’s website, click here: http://www.joinperaica.com I am Commissioner Peraica’s personal photographer, a great honor. 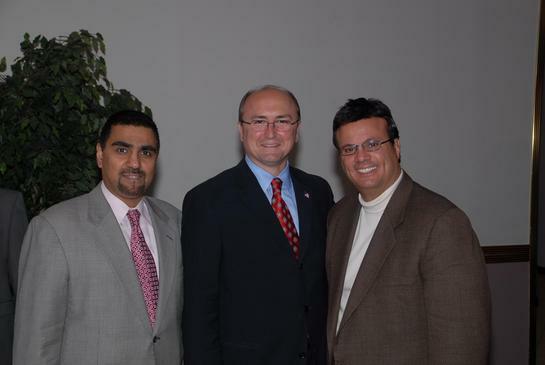 Salman Aftab is going to run for Chicago’s 50th Ward Republican Committeeman, I wish him good luck. Photo by Patrick McDonough.